OSC Surf School at the Amelie Beach near Soulac. Opened all year long, and welcoming you in our shop, inches away from the ocean. The beach of l’Amelie can be found South of Soulac. Easy access, restaurants, shopping, campsites/hotels and its charming little chapel makes l’Amelie one of the prettiest beaches of Soulac. Our shop is fully equipped, our boards and wetsuits renewed and maintained each year, our instructors are state-graduated and rescuers, and our official beach, ideal for surf practice, are the reasons why our school has been selected and labeled by the French Surf Federation (FFS). 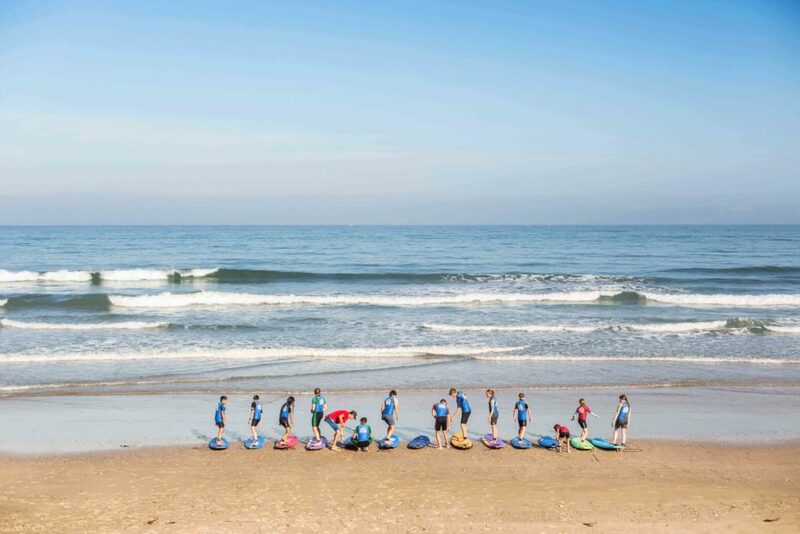 We propose group and private lessons of surf and bodyboarding, and for all levels. 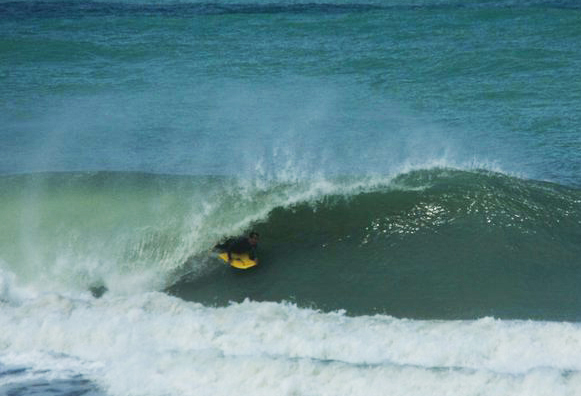 We also offer the possibility to rent (surfboards, bodyboards, wetsuits…). 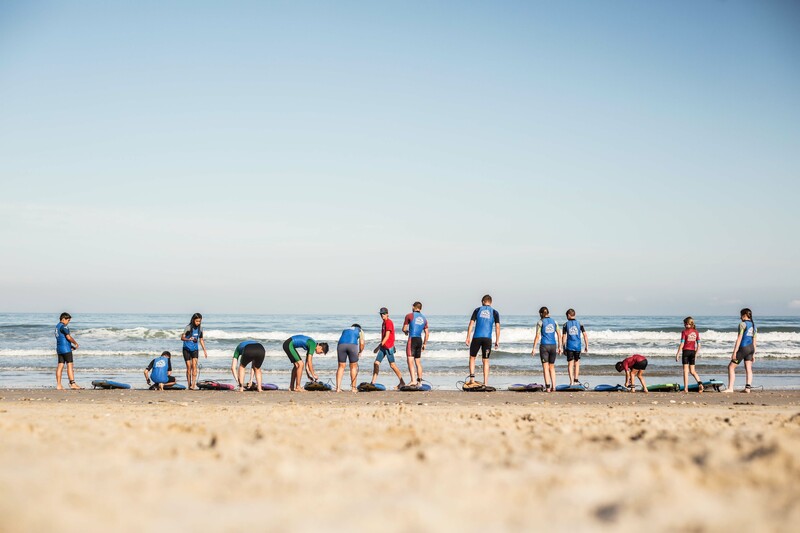 This surf school was created by Germain PERIER (your friendly neighborhood surfer), and has been labeled by the French Surf Federation, assuring lessons in a supervised environment. 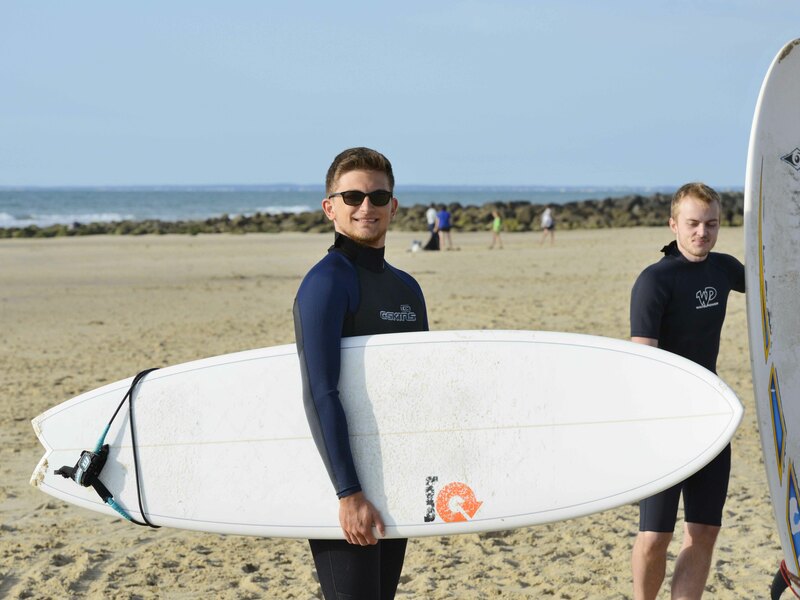 Supervised by state-certified instructors, our surf lessons offer you your first gliding sensations allowing you to evolve in the ocean without danger and sensitizing you to the protection of our coasts. +The spot : Located on the beach of l’Amelie, several sand banks of quality, adapted to all levels of surfing, allow a safe surf practice. (Authorization from the town hall to teach in this area). +The equipment : Boards adapted to your size and level (soft boards with non-cutting edges), and quality isothermal wetsuits will be provided. 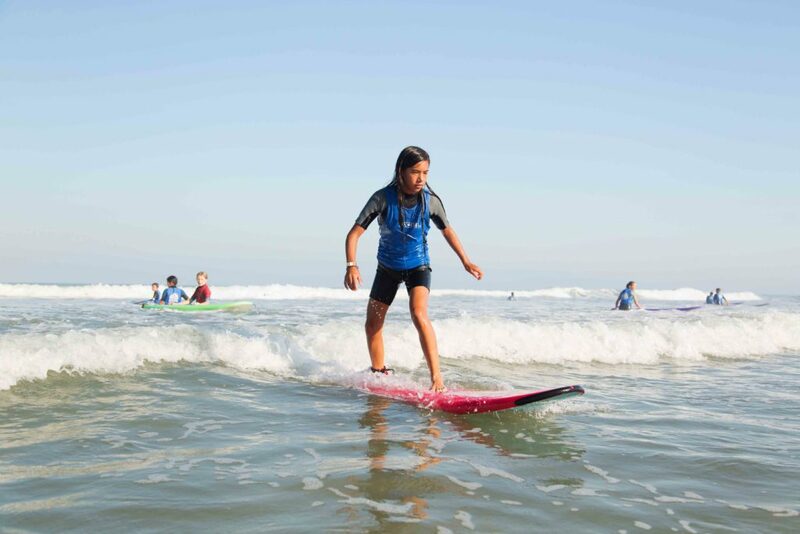 +The lessons :The surf lessons are given by state-certified instructors with a sea-rescue diploma. Our goal is to pass our passion and teach you surfing and the behaviors of the ocean in a relaxed ambience. (Lessons given in French and English). The advices are personal and individual, allowing a fast progression, adapted to your level. 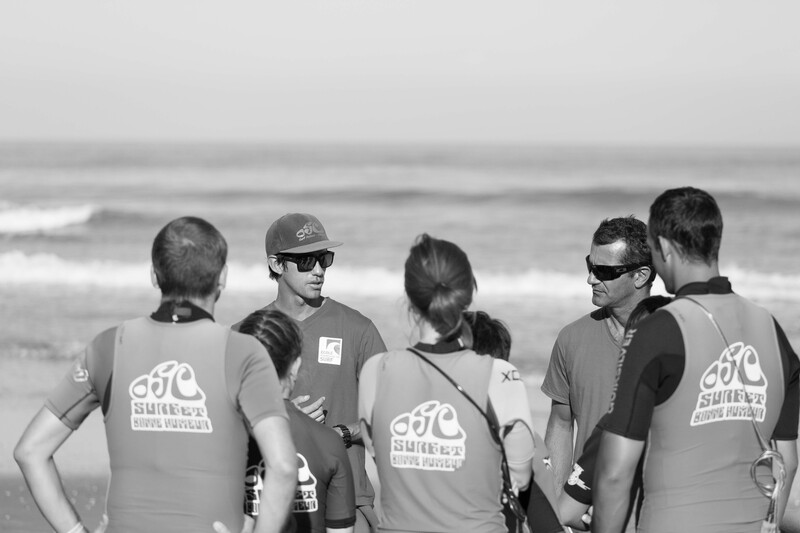 The OSC Surf School is labeled by the FFS, which means that we answer to several quality criteria regarding the reception, the teaching, and the security. To make a reservation, fill out the following form. Don’t forget to fill out all the requested information, to put the desired days (dd//mm/yy) and to send the 30% deposit(you can use a bank transfer, the banking information will be sent to you the evening of the day you fill the form). 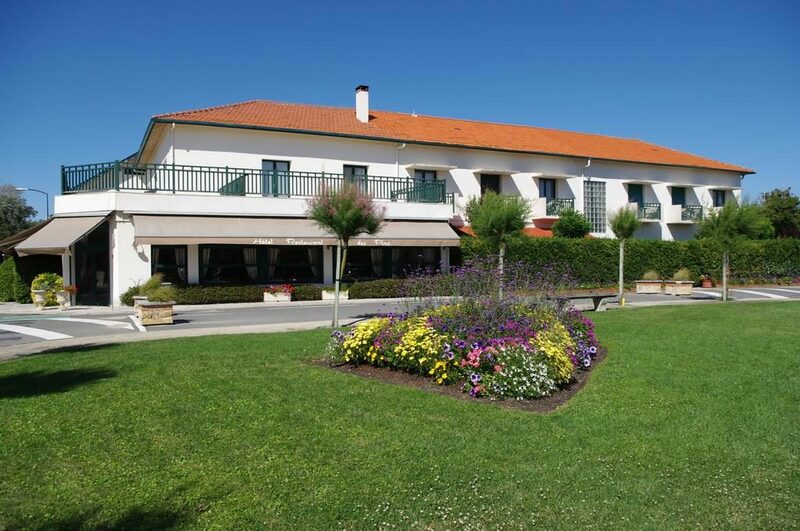 We recommend booking at least 10 days before your arrival. Surf Trip: Costa Rica, Nicaragua, Spain, Morocco, Italy, Canaries, Reunion and Guadeloupe. Voyages: Spain (Cantabria, Asturias, Galicia), Canaries (Lanzarote, Gran Canarias, Tenerife), Portugal, Morocco, the Reunion. First surf: I learned to surf in this school!